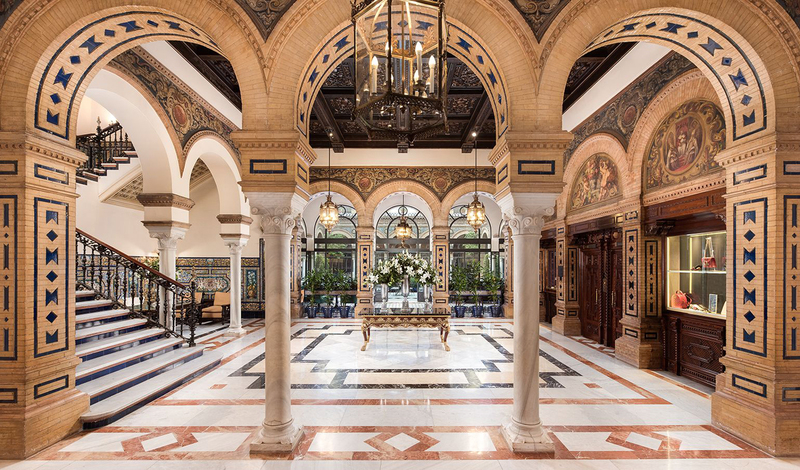 By combining elaborate and authentic Moorish interiors with contemporary chic features, the Hotel Alfonso XIII is an exquisite emblem of typical Seville design, but with a little twist. Nestled in the very heart of Seville, Alfonso XIII’s stunning 151 rooms are the ideal place to hole up in, close to all major urban highlights, so step out onto the city’s charming cobblestone streets and soak up some Seville culture, before returning to relax and rejuvenate by the luxury hotel pool and gardens. A short 40-minute transfer from Seville airport will see you at the beautifully intricate, grand Alfonso XIII, which is neatly settled just off the San Fernando street, just a stone’s throw away from Seville’s exotic, Mediterranean gardens and the old town centre of Santa Cruz. A city boasting a bounty of sightseeing and shopping opportunities, as well as marvellous museums, traditional Andalusian flamenco shows and excellent culinary diversity, Seville is sure to keep you enthralled from start to finish. Alfonso XIII is especially unique in that its rooms observably tell a story of Seville’s past with each room characterising a different era in Spanish history, from Andalusian and Castilian to the more iconic Moorish. Delicately balancing these opulent, classic themes with stylish, modern artwork over charming antiques, rooms showcase a unique sense of luxury grandeur. 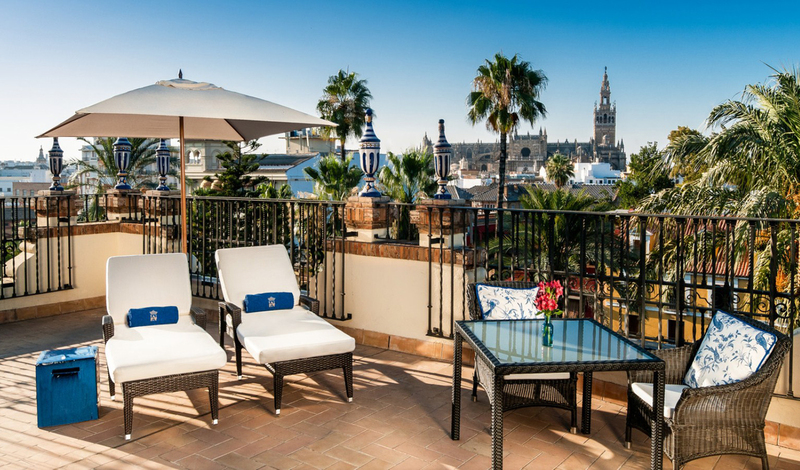 Breath-taking views over Seville, rainforest showers and even an open bar in the Royal Suite are just some of the tremendous features to be experienced at Alfonso XIII. Aside from its aesthetic beauty, Alfonso XIII boasts a delicious variety of dishes from its fresh, local Seville cuisine to your global favourites, all within a gorgeously sophisticated environment. Head to the Moor-inspired San Fernando restaurant and let the esteemed chef, Charles Gasso, cook you up the Roast duck magret with Andalusian cherry sauce and mango chutney – we promise you it’s unforgettable.